DEMBE. I've seen him called Dembae and Dembabe online, and I agree. Damn you PeeWee Herman for shooting Dembae in the stomach. How dare you!!! The inevitable Red and Dembabe reunion will be music to my ears; someone get me my tuba mouthpiece. Ken Doll is doing his best to enigmatically straddle the line between Dutiful Agent Towing the Line and My Partner Is Innocent (In My Heart), but I just don't think either the script or his acting is making that sing. The photo of Aram and Samar on Aram's fridge was so cute! I'd love to see a tiny glimpse of them off-hours together. I completely, totally un-ironically love this show. I think my favorite moment in the episode was Spader's going to bed on the stage set by walking through the door and closing it, rather than walking around the door frame. It's those little acting choices he makes that keeps me watching the show. But the whole Djinn/Nasim storyline seemed like a heaping pile of Islamophobia and transphobia, so I found Reddington's monologue-ing at the end made him just look obnoxious rather than the usual 'see how much smarter/devious I am than the rest of the room' effect. 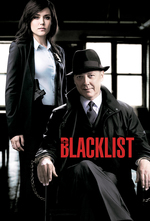 Seemed like kind of a generic, though still well written and performed, Blacklist episode. I think this episode, with a few tweaks for larger plots, could have fit in anywhere in a season. It advanced the series plot merely by indicating that the plot was advancing. I think that led to some of the air being let out of Red's final remarks. He could have easily been leveling his closing thoughts at a devout Catholic who taken similar extreme measures. Except for that part when Nasim admonishes her father for cursing her to the life of a "second class citizen." I do think the episode was dealing with some of the real issues of thoughtful viewers who read at college level feel about Islam and societies that look to the Koran for matters of law. Because this episode didn't feel like it had any real bite, it may have not down the ground work necessary to start broaching such areas of exploration. So the idea of straight up Islamaphobia doesn't really jive for me, but I get it. As for transphobic, I have no idea how to speak to that. Is it because the trans character was cast as a criminal or villain? Is it that simple? Seemed like the show did as much work as possible to create sympathy for the character. It may not seem like it, and I'm certainly not known for it, but I'm really asking. Why can't an Islamic Trans Woman be a credible antagonist? Or perhaps less baited, why wasn't this one? He could have easily been leveling his closing thoughts at a devout Catholic who taken similar extreme measures. For me, it's the context again. In the real world, trans people are subject to so much harassment and violence that I think it's irresponsible to set up a character like Nasim for shock value. And it's not like it's a new twist, shows/movies have been putting villainy & sexual deviancy together for decades. I think that when a character's villainy is motivated by/inextricable from their being transgender, it's going to be transphobic.